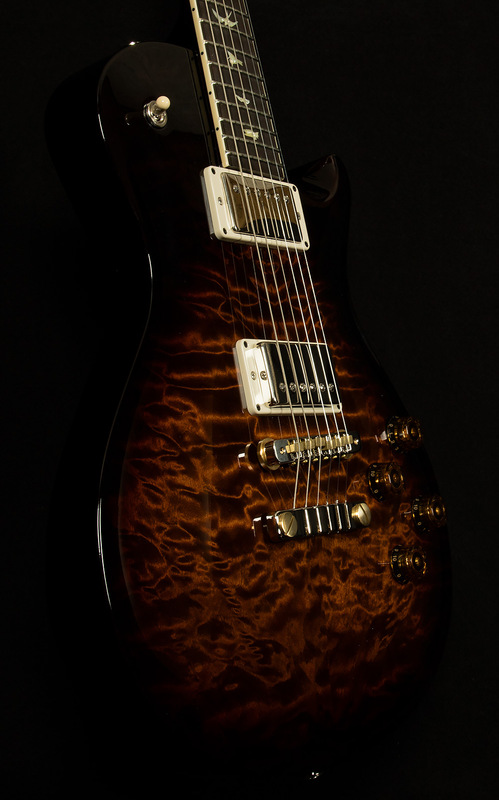 One could be forgiven for not noticing this PRS SC594's Brazilian rosewood fingerboard right away, because it also sports an eye-catching Black Gold Wraparound Burst that really makes its figured maple top pop! The gold parts of the hybrid hardware look great against the amber tones of the finish, and the chrome parts give the whole aesthetic a vintage tint. 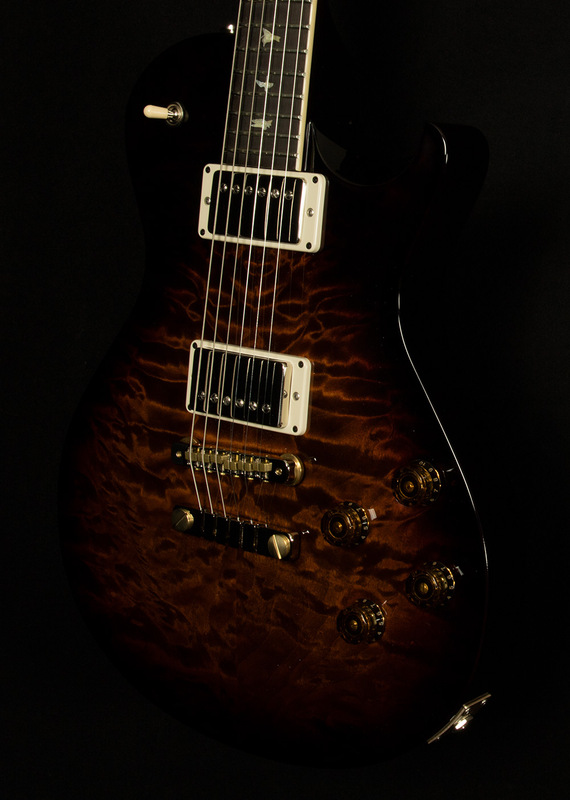 Of course, PRS's bird inlays always look best when they're able to flock to their natural habitat--which is, of course, Brazilian rosewood! 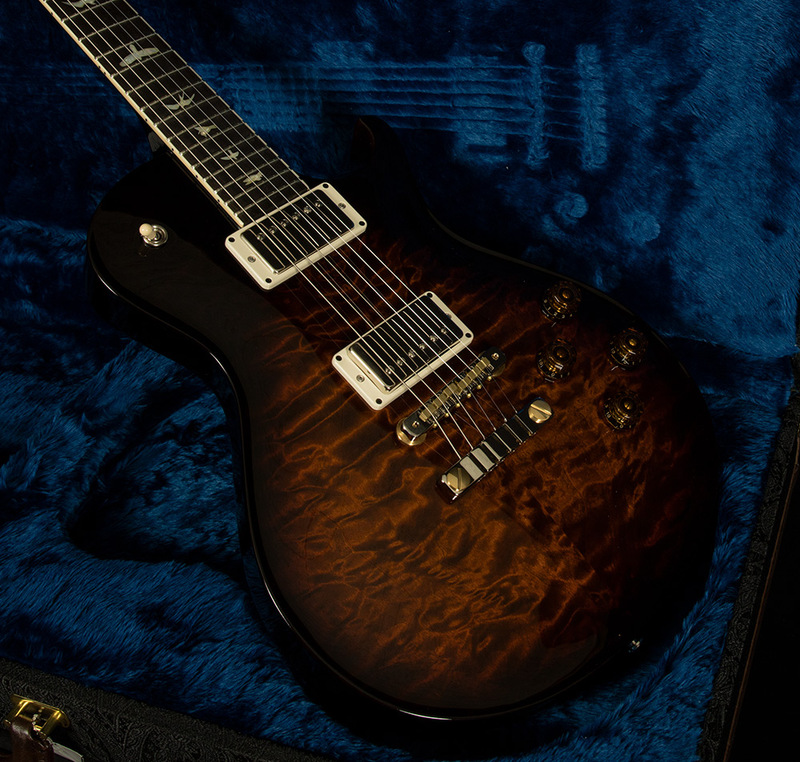 The legendary tonewood also imparts its signature sweetness to the front end of every note you play, and the 58/15 humbucking pickups provide a clear-eyed take on vintage PAF tone. 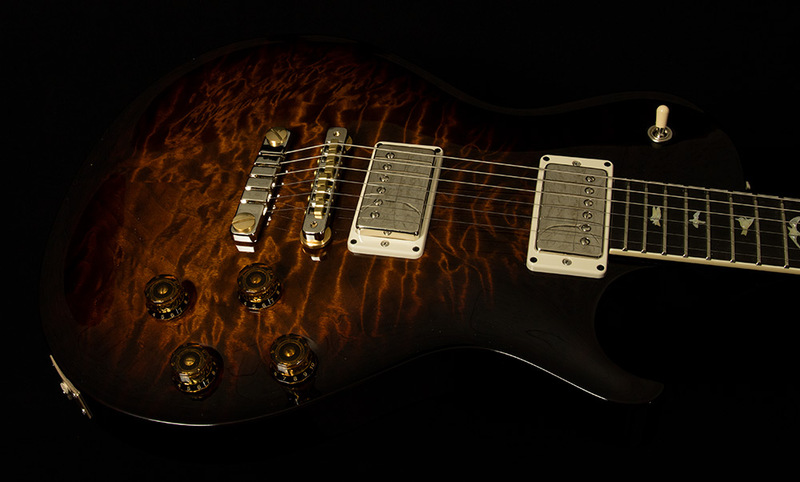 The neck pickup sounds smooth and warm, with broad midrange and transparent highs. 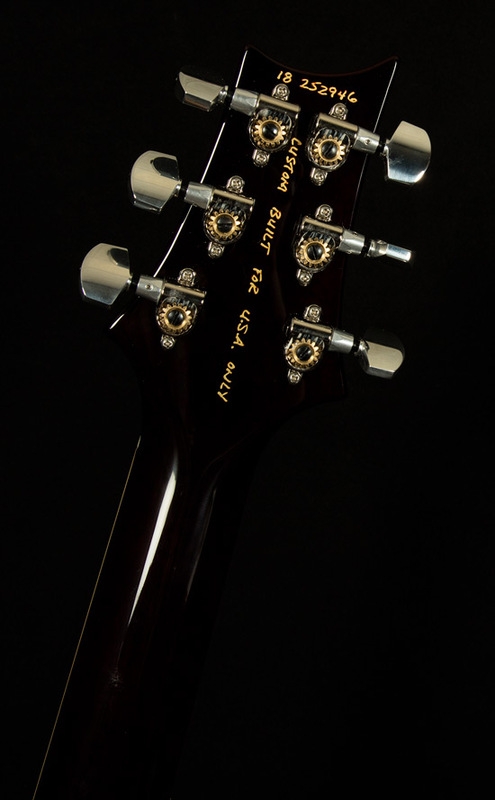 By contrast, the bridge pickup has a more focused, punchy midrange response to go with beautiful bell-like note bloom in the trebles. If you crave thinner, spankier tones, you can split the coils for each pickup using the push-pull pots under the tone knobs. 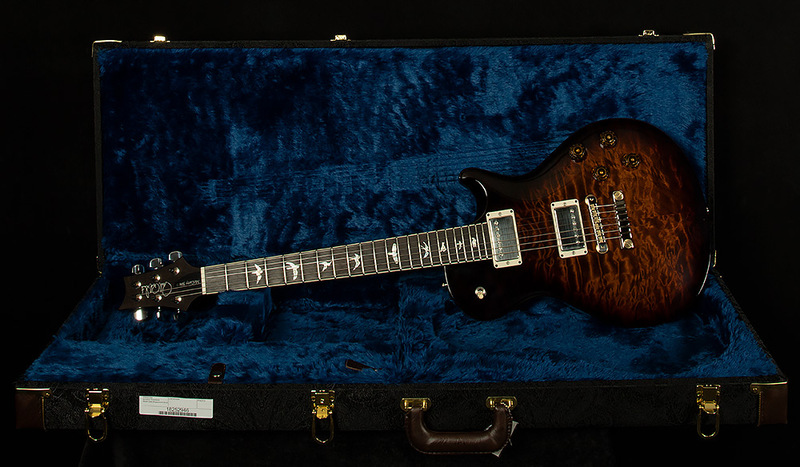 This SC594 is an inspiring instrument that harnesses the power of Brazilian rosewood to achieve a stellar blend of hi-fidelity modern sound and vintage mojo, and we know it will bring some lucky PRS fan endless joy.